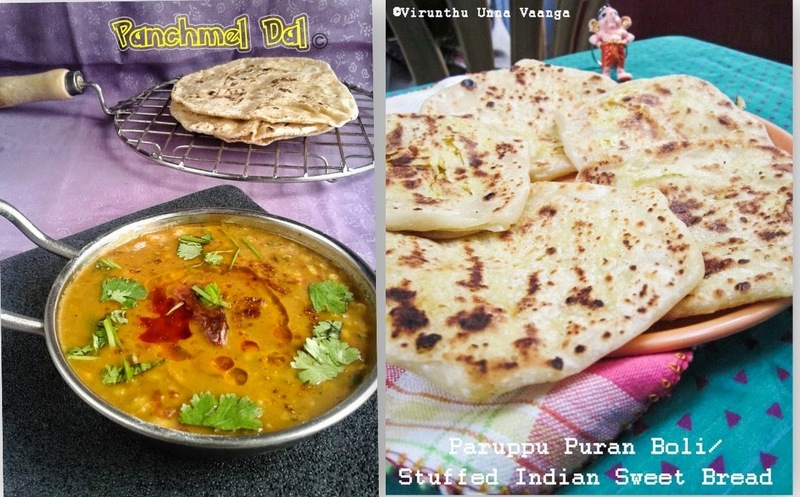 Hi friends, am really happy to share the recipe for the special event Shhhhh Cooking Secretly Challenge is brainchild of +Priya sis of Priya’s Versatile Recipes and Cook N Click. 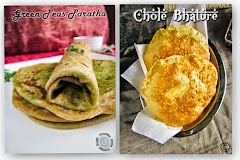 I have paired with +Kalpana from Life with Spices. She is such a jovial person to talk with her. She gave me the fantastic two ingredients which are Mango and Coconut. I love the both ingredients, so I decide not to miss the both. 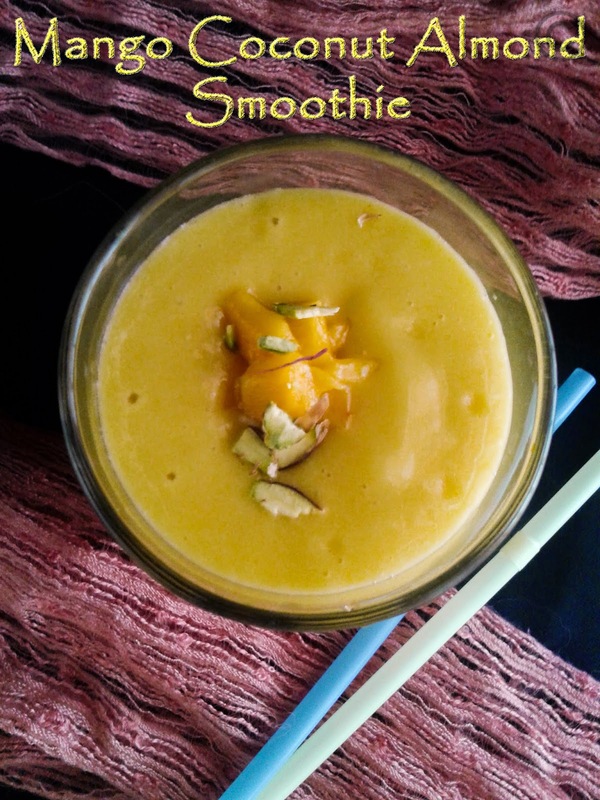 The smoothie with mango, coconut and dash of almonds give rich taste to the drink. 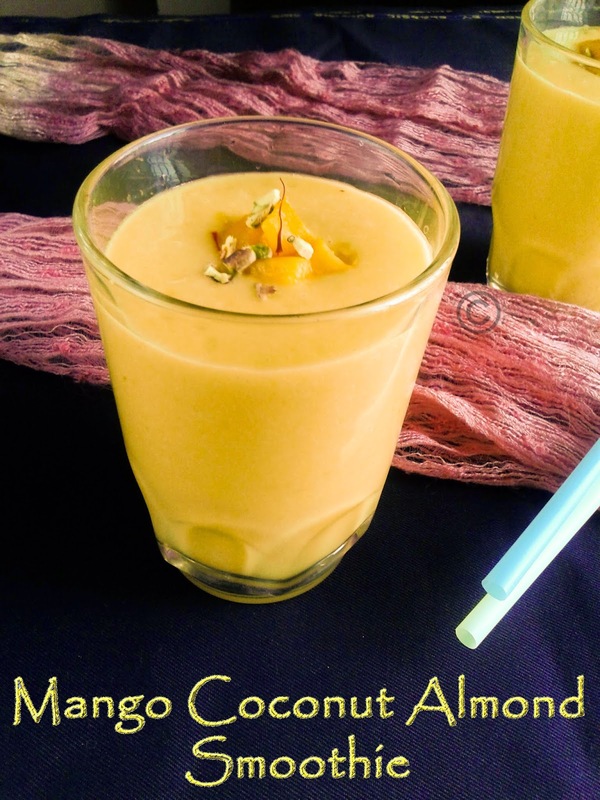 Blend scraped coconut, soaked almonds with enough water and filter the coconut milk and keep it in refrigeration. 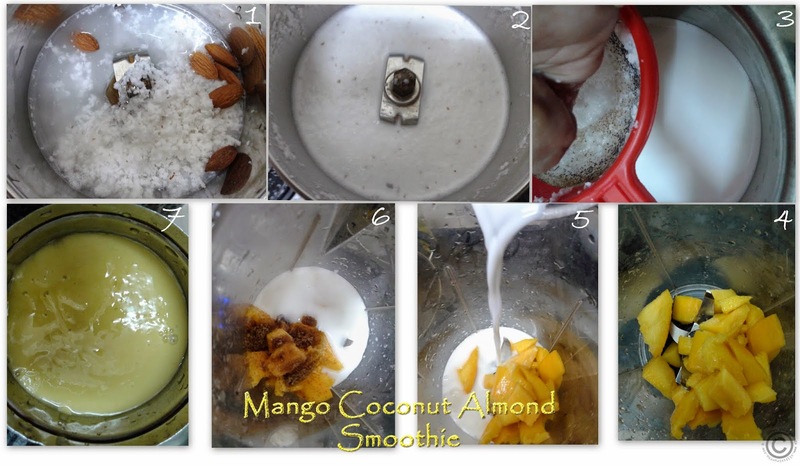 Now add the peeled and chopped the mangoes into the blender, following by add coconut milk and brown sugar. Blend it well for 15-20 seconds and pour into serving glass. 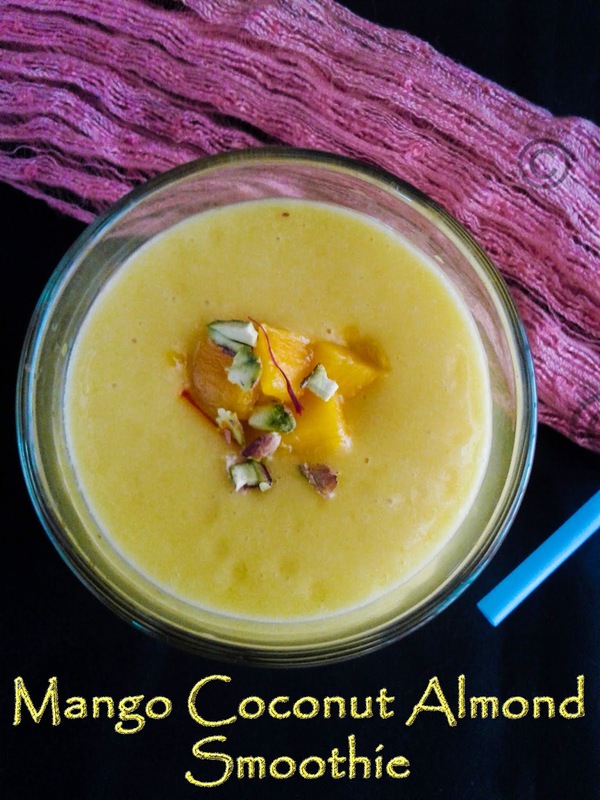 Garnish with finely chopped mangoes, pistachios and saffron strands. Very different smoothie with exotic flavours, well done with your secret ingredients.. Smoothie is just killing me. 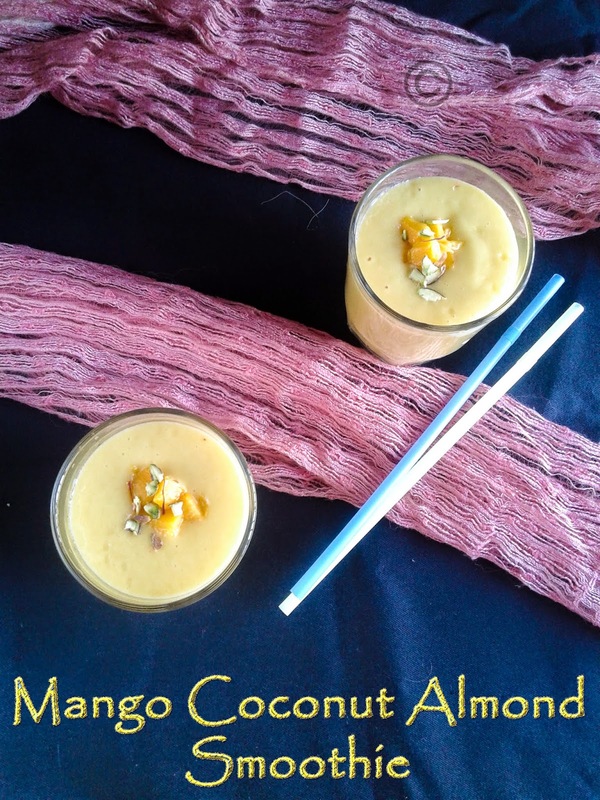 Never imagined coconut in smoothies vijji..sounds interesting.. Very healthy and refreshing drink there :) makes me drool !! Beautiful mango drink da :) looks super inviting too. 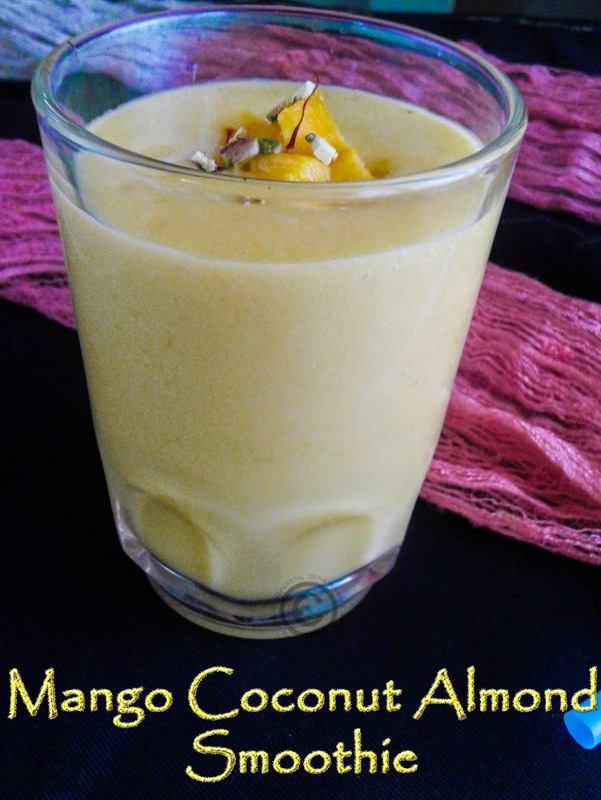 I love the combination on mango coconut and almonds yum!